We've helped hundreds of residents with Domestic Violence-related cases in our time as Long Beach criminal defense lawyers. Take the next right step by consulting a legal professional. Cases of possible domestic violence are treated as a very serious criminal matter in the courts of California. Even if the alleged victim does not want to press charges, you may still face criminal prosecution. If you have been accused of any type of domestic violence or you think you are facing a domestic violence investigation, it is IMPERATIVE to obtain the counsel of an experienced Los Angeles domestic violence attorney ASAP. You need a dedicated and aggressive attorney fight for you to make sure you obtain the best possible outcome for your case. Who Can Be A Victim Of Los Angeles Domestic Violence? Spouses and family members are not the only people who can be victims of domestic violence. 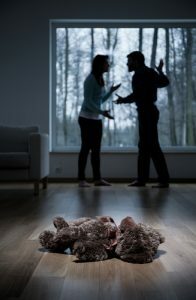 Any crimes you commit against children, sexual or intimate partners and cohabitants of your household may be considered domestic violence as well. Did you know that many times there are investigations before charges are filed? The police are already building their case before you are charged – don’t let them get a head start! With a phone call anytime to our law firm, you will have a dedicated, aggressive Los Angeles criminal defense attorney fighting on your behalf from the get-go. Remember, if you are facing domestic violence charges, it is CRUCIAL to contact a lawyer as soon as possible. We serve clients all across Los Angeles County, Orange County, Ventura County, San Diego County, Santa Barbara County, Riverside County, San Bernardino County, and we the surrounding areas. Contact us today to begin discussing and making progress on your case.